Google Edition expansion: Sony Xperia Z may be next, who else needs in? Last year, one of the more persistent rumors in the Android world was that Google had plans to greatly expand the Nexus line of devices, and might have planned to release as many as five new Nexus devices last year. Obviously the timing of the rumor was off, but it looks like that rumor wasn't completely inaccurate, and is coming around in a surprising way. Google has already announced two Google Edition models of flagship devices, and rumor has it that Sony may be the next up to join the program. So, who else needs to get in on this movement? First, let's start with the new rumor about the Sony Xperia Z. All of the indications point to Google keeping the Nexus line as is with one flagship phone, one 7" tablet, and one 10" tablet that bear the official Nexus branding, but the Google Edition brand could conceivably expand to any and every flagship device made by an Android hardware partner. The newest rumor is that Sony is preparing the Xperia Z to join the Samsung Galaxy S4 and HTC One in the Google Edition line. The info comes from an alleged Sony insider speaking to Android Geeks. The rumor hasn't been confirmed by any other sources, but given how active Sony has been in the Android Open Source Project (AOSP), it is a natural progression for the company to offer up a Google Edition model of its new flagship. 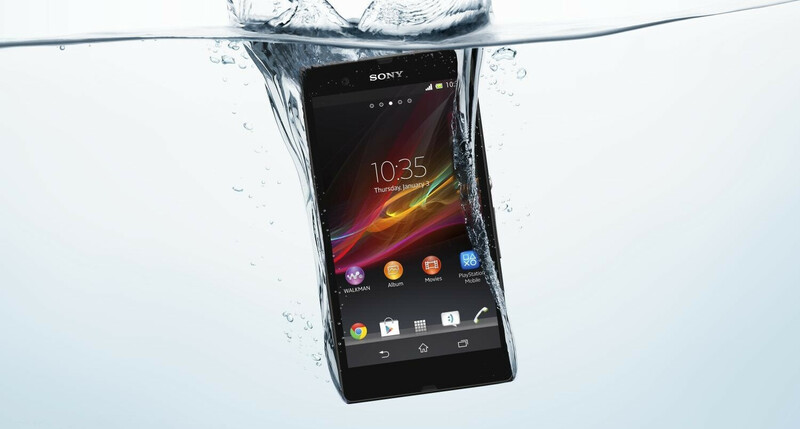 The Sony Xperia Z hasn't yet been released in the U.S., but is expected to launch on T-Mobile in the next couple weeks. According to Android Geeks' source, Google and Sony are working together to offer a Google Edition of the Xperia Z, but the device isn't expected to be announced until July. Sony has already released an early build of an AOSP ROM for the Xperia Z back in April, but it is quite buggy and certainly not ready to be a daily driver. So, teaming up with Google should speed up the work on that considerably. The report says that the Sony Xperia Z Google Edition would likely launch with Android 4.2.2; but given the timing of the device, we're not sold on that part. If the device isn't even announced until July, we would expect to see it if not launch with Android 4.3, then have the update ready very soon afterwards. And, the assumption is that the device will be made available in the Google Play Store for $599. One of the very nice things about the addition of the Xperia Z to the Google Edition line is that the hardware doesn't have as much proprietary gear as the Galaxy S4 or HTC One. The specs of the Xperia Z Google Edition would be the same, including the 5" 1080p TFT display, Snapdragon S4 Pro, 2GB of RAM, 16GB of storage, microSD card slot, 13MP camera, and the same dust and waterproof design. Unlike the Galaxy S4 Google Edition where the gesture features and eye-tracking are inaccessible, and the HTC One which will have Beats Audio, but no Beats switch and no optimizations for the Ultrapixel camera. The Xperia Z on the other hand doesn't have those sorts of customizations, so users will get the full hardware with just the IR blaster turned off, but that can be made functional with a simple app from the Play Store. So, the question still remains: what manufacturers and devices will join the Google Edition lineup next? Given that Motorola doesn't have any new devices yet, and the fact that the Moto X is expected to be close enough to stock Android anyway, we think it's safe to rule it out of the equation. That leaves a fairly limited number of options. We don't really expect to see smaller Android manufacturers like Archos, Fujitsu, Kyocera, Lenovo, Panasonic, Pantech, and Toshiba to join the fun, because while those companies do have some market share in various regions, they don't really have the global reach of the top-tier manufacturers. We have specifically left Oppo off of that list, because while the company does fit in with those others, we can't help but get excited about an OPPO Find 5 Google Edition, even if it probably isn't likely. That leaves a few big names that could add to the lineup, including Acer, Asus, LG, Huawei, and ZTE. And, we don't want to leave out the possibility that Samsung may add a second device to the mix. Just as an educated guess, we'd say that adding the LG Optimus G Pro and Huawei Ascend D2 make the most sense on the smartphone side of things, although if Google wants to round out the lineup with a phablet, the Huawei Ascend Mate would also be a solid choice, because we're not sold that Samsung would put both the Galaxy S4 and the Note III in the lineup. We can imagine that ZTE is pushing hard to be part of the lineup, but we're not sure that the company has made enough of a name for itself in the U.S. yet. But, what is really missing from the Google Edition lineup right now is tablets. While we don't expect to see the Samsung Galaxy Note III get the Google Edition treatment, we definitely see possibilities for a Samsung Galaxy tablet to join the fun. The only thing is that Google may not want to reach back to older devices for the program, and the Galaxy Tab 3 10.1 may not have the spec sheet to really interest anyone when listed along with the Nexus 10. But, adding the Samsung Galaxy Tab 3 8.0 may make sense to add another size point to the lineup. And, that would leave the 10" tablet spot to Asus, which has deserved a place in the Google Play Store for a while now. Asus had a lot to show off at Computex this week, but the next-generation Asus Transformer Pad Infinity is would be the dream addition to the Google Edition lineup. The Asus MeMo Pad HD 7 is a bit too similar to its cousin, the Nexus 7, which is expected to get a refresh soon. But, the Asus Transformer Pad Infinity would fit nicely in the Play Store next to the Nexus 10. And, the Transformer could also be the perfect opportunity for Google, because one of the rumored additions to Android Key Lime Pie is optimizations for laptops, which in the Android world really means transforming tablets. And, if the rumored price tag is correct, $499 for the Transformer Pad Infinity with laptop dock would be solid for a tablet packing a Tegra 4 and 2560x1600 pixel display. What do you guys think? What devices on the horizon or just released would you most like to see get the Google Edition treatment? This is great, every phone will have a Google version! Also make the "OEM" poop available on Play store for people who are interested in manufacturer sense/launcher. Give people choices! Funny, I just said I'm hoping this might happen in your other article. Crossing my fingers on this bad boy. I gave u a thumb-up because I agree but also... having a unique device named "Nexus" isn't that bad either way. It stands out from the "crowd". With Samsung Galaxy S4 having a stock Android, it isn't just made by Samsung-it IS a Samsung's device! 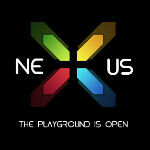 With Nexus is a slightly different thing. Although it must be built by some other company like Samsung, HTC, LG, Asus,... it IS a Google device. So the branding is somewhat different in those two situations and having both of the two versions of the phones/brands is a good thing for Google. I don't expect Nexus to go away, because there is still a need for a developer/hardware reference device for Android, which has always been the main aim of Nexus. That's true. My thoughts as well. Can we get some inexpensive Google Edition devices? Not everybody has 600$ to throw on a smartphone. I hope they make Google Edition of inexpensive good phones like Micromax Canvas HD, ZTE Grand S etc. Im seeing a pattern here. By the looks of it, Google will be realeasing the Moto X Google Edition to compete with the iPhone 5S in September. Good times. But this idea would kill all the OEM's great effort they put in their respective software division and they would exist as just mere hardware suppliers. I don't think so, if anything it highlights the work the software divisions do. Just look at the Samsung Galaxy S4 Google Edition. If you like the hardware, GE is a good option, but if you want all of the features Samsung built-in, like hover controls, eye controls, and the crap-ton (technical term) of photo options, you get the Samsung version. Same with the HTC One and the Zoe camera features. Besides, not many people go for paying full price for an unlocked device, and I would highly doubt we're going to see any Google Edition devices sold directly through carriers. I thumbed you up just for the highly technical term "crap-ton", usage of which extends well outside of consumer electronics. To your point about carrier support though, I wish there were a way for Verizon and Sprint customers to enjoy a Google Experience. I know it's not likely so long as they use CDMA for voice, but that effectively locks more than half the US out of the equation. Soon enough, CDMA will be depreciated, and at least Verizon will be able to handle LTE-only devices, which should help that issue. Until then, I guess we CDMA folk will have to hope future Motorolae are so close to stock that it makes little difference. Unfortunately that still means waiting for carrier approval of updates, which frustrates me to no end. Oh yeah just what I've been waiting for! The one problem with this is the main reason for getting a nexus 4 was the price was only $300/$350. These phones cost just as much as their flagship version and lose all the software features that make it unique. Selling it at a Nexus price point would completely kill their market profit wise for the manufacturers and carriers. Because of that it doesn't make sense for Google Editions to be priced lower. Also, being exclusive "Google Editions" makes them very unique in the sense that you can't just pick them up from your local dealer. Sorry, but the main reason for getting a Nexus was the software updates, not the price. By that logic there was no reason to get the Galaxy Nexus when it first came out? If you have a decently popular device and the hardware isn't complete crap your pretty much guaranteed updates through 3rd party development. I would like to see the Note 3 Come to "Google Edition" before i decide to get it once it arrives T-Mobile. Cause what really got me was the S4 launch and then soon right after S4 Google Edition came out. So im gonna wait to see like a month of 2 after Note Series comes out. This is actually cool but the fact that it will only be released to the US makes me really angry !! !